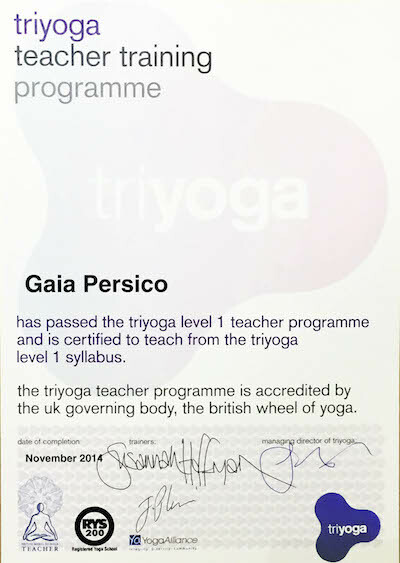 Gaia Persico is passionate about sharing the beauty and benefits of Yoga, and how its philosophy helps in everyday life. She teaches Hatha, Vinyasa, and meditation. 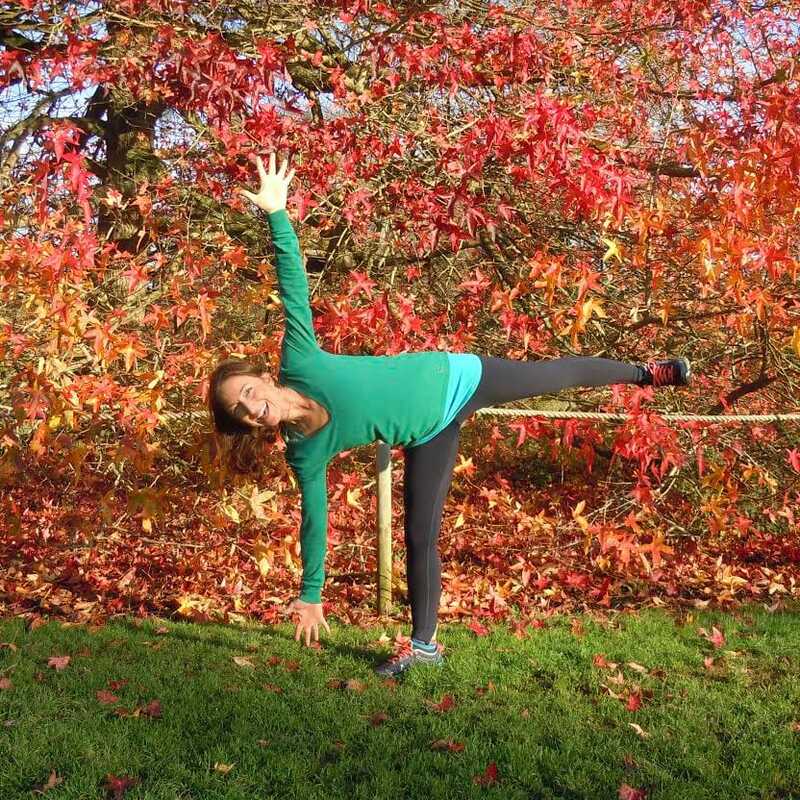 Her yoga classes are full of joy and energy, and through thoughtful modifications for each posture, they are geared for both beginner and advanced practitioners alike. Thus allowing each yogi and yogini discover their own inner journey of development at their own pace. 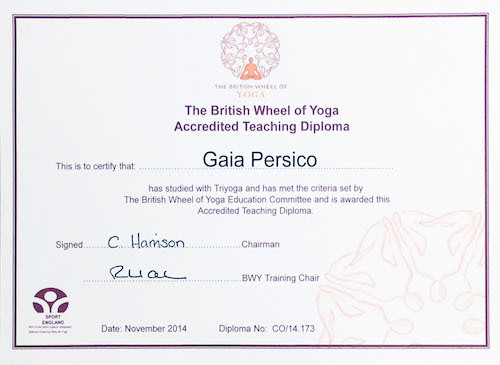 She is a British Wheel of Yoga qualified teacher, who has been a practitioner for almost twenty years. 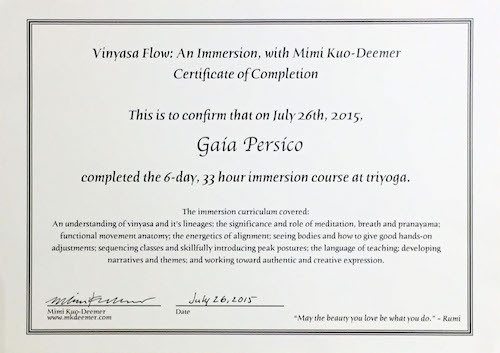 Her Teacher Training was a two-year 390 hours course at Triyoga under the guidance of Jeff Phenix, Susannah Hoffman, and Carlos Pomeda. 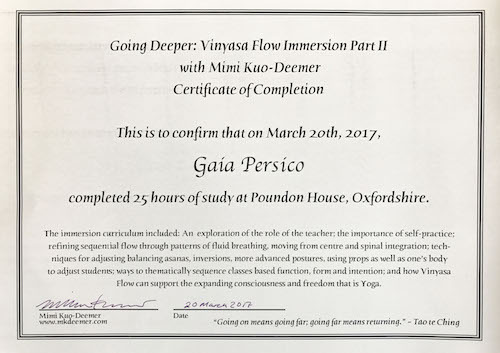 She completed a Vinyasa Flow Immersion Teacher Training with Mimi Kuo-Deemer in 2015 and part two in 2017. Additionally, she is assisting Mimi and Jean Hall with the current Teacher Training at Triyoga. She has also been studying The Pratyabhijñã Hridaya, The Yoga Sutras, Tantrik yoga philosophy and meditation with Dr. Christopher Hareesh Wallis. She believes that through using the body and breath in Vinyasa practice and meditation we can discover our true essence nature.